Raise your hand if you're currently obsessed with Outlander! I started reading the series in January of this year and 4,400 pages later I'm about halfway through the 5th book. I haven't been this wrapped up in a book series since A Song of Ice and Fire (Game of Thrones). If only every book I read made me want to drop all my priorities and read 24/7! If you have NO IDEA what I'm talking about, puh-lease jump on the gallant, fiery-haired, Scots accent-lovin' bandwagon either with the first book (it's seriously addicting - you will want to stay up all night reading it) OR the first season of the TV show. Today's recipe is inspired by one of the most popular food dishes in the Outlander series: Scottish parritch (a.k.a. porridge). Or, to us Americans - oatmeal! Reading about parritch many times over gave me a deep hankering for oatmeal, but not the gluey instant stuff or the softer rolled oats kind. The real deal: steel cut oats (or groats). I figure this heartier, chewier, stick-to-yer-ribs version is probably what they ate back in the 18th century. 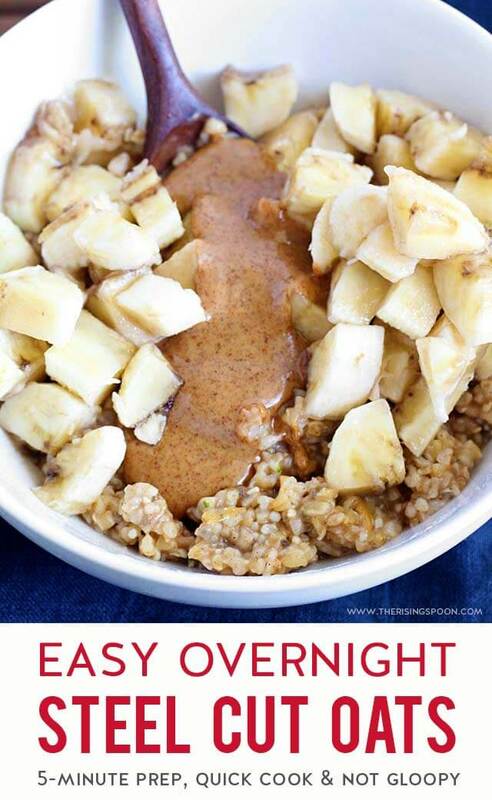 Why Use Steel Cut Oats For Overnight Oats Instead of Rolled or Old Fashioned Oats? Rolled or old-fashioned oats are awesome for refrigerated overnight oats (like my mango overnight oats) but the final result is super creamy and pretty soft. That's why I like to top mine with crunchy granola to give it some bite. Why the difference in texture? It comes down to how the oats are processed. Once the outer hull is stripped from the whole oat, the inside piece is then cut into 2 or 3 smaller pieces. 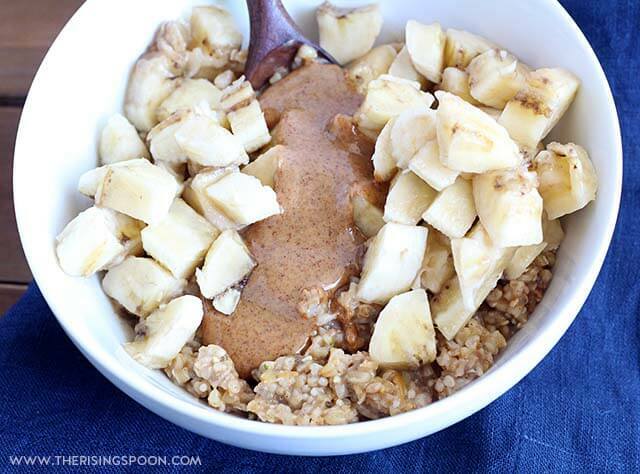 This forms steel cut oats, which is the chewiest variety with the longest cooking time. From here, they can then steam & roll out those small pieces to form large or medium flakes (rolled oats) or further grind it to make instant oats, both of which have a quicker cook time and softer/mushier texture. When I first decided to try overnight oats with steel cut oats, I did a little digging into cooking techniques and found that two of the most popular methods were yielding some inconsistent results. There are folks who use the no-cook method of letting the oats soak in milk in the fridge overnight (like regular rolled oats) but you end up with really chewy oats that need another day to soak before they're a good consistency. Who wants to wait two days for their breakfast? Not me! The other camp is the slow cooker folks who stir everything together into a crock-pot, turn it on low, and let it do it's thing while they sleep. Unfortunately, that 7-10 hour window often creates mushier steel cut oats with a gloopy texture. Okay for some, but not ideal for people who enjoy that gentle chewy texture. So, how do you get the steel cut oats right without standing over the stove for 30-45 minutes? The key is to soak them overnight on the counter then give 'em a quick cook on the stove the next morning. 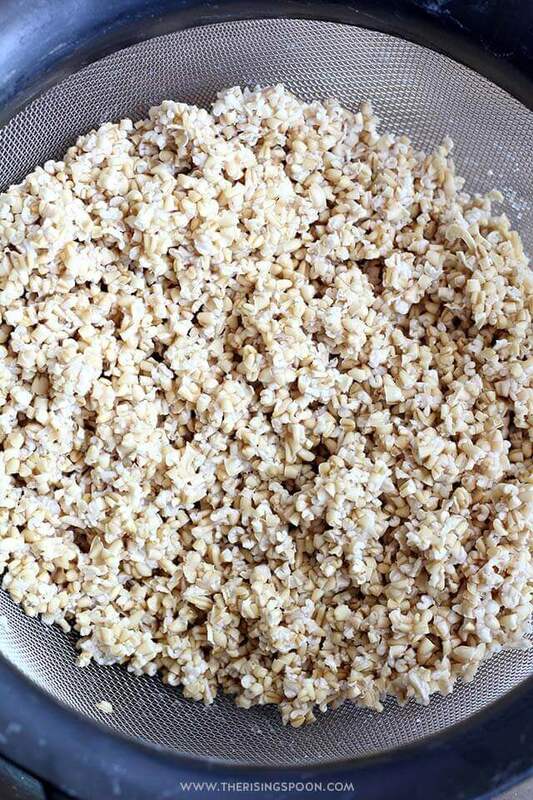 Soaking the oats overnight has two major benefits. First, it greatly reduces the cooking time (yay). Second, it makes the oats more nutritious and easier to digest (adding an ingredient like vinegar or yogurt helps to pull out phytic acid). Are Overnight Steel Cut Oats Better Hot or Cold? Believe it or not, they're equally good both ways. I've eaten them warm from the stove on a chilly morning and straight from the fridge on a muggy Texas day with an extra splash or two of water to loosen them up. Unlike rolled oats or instant oats, steel cut oats keep their texture in the fridge (which makes them yummy cold) and reheat super well without disintegrating into a gloopy mess. if I plan on eating them warm, I'll leave the oatmeal plain (except for the basic mix-ins) and add the toppings after I reheat the steel cut oats on the stove. Note: Whether I eat them hot or cold, I always add a few extra splashes of either water or milk to loosen up the steel cut oats so they're not sticking together. This is a must! An easy, fuss-free recipe for overnight steel cut oats with little prep and a short cook time. Unlike the no-cook or slow cooker methods that can leave the oats either too chewy or gloopy, this technique yields oats with a nice blend of chewiness & creaminess. 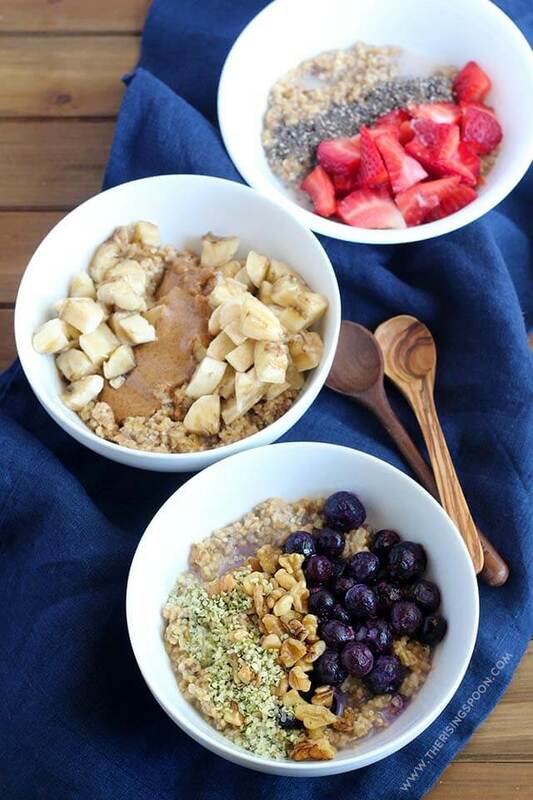 Steel cut oats are just as tasty eaten cold (straight from the fridge) or reheated to piping hot, which makes them an excellent option for meal prepping healthy breakfasts the week ahead (no matter the weather). 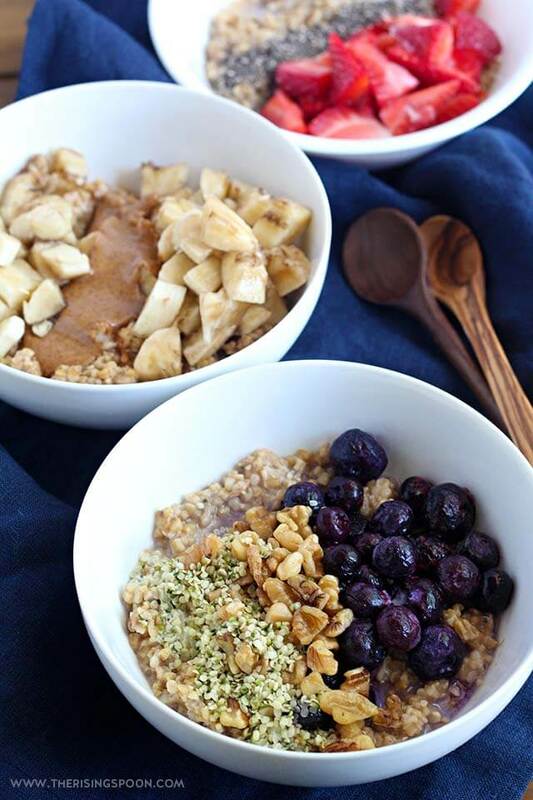 The night before you plan on cooking the oats, measure 1 1/2 cups of steel cut oats into a large bowl and add enough purified water to cover the oats by 2 inches. Stir in a tablespoon of apple cider vinegar or plain yogurt (this ingredient helps pull out the phytic acid in the grain). Cover the bowl with a dishtowel or lid and leave on your counter overnight. The next morning, drain the oats through a fine mesh strainer or a colander with a cheesecloth and rinse well. 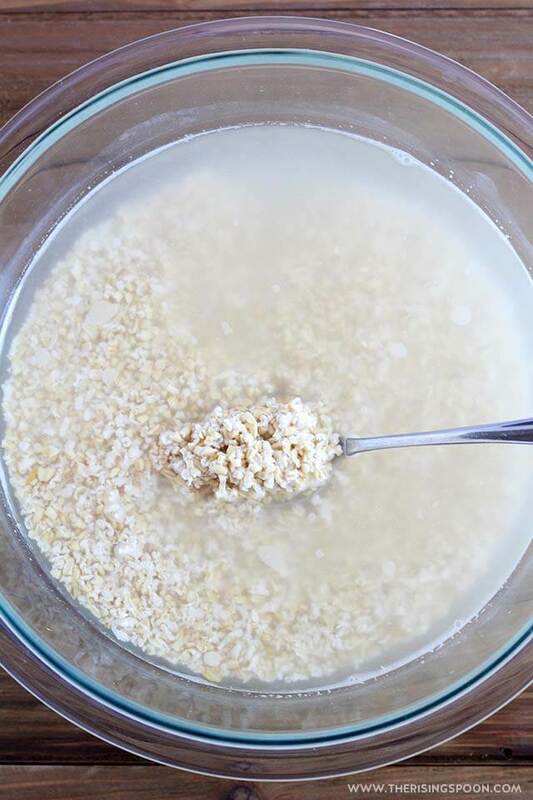 Pour the rinsed oats into a medium saucepan set to medium heat, then add the fresh purified water and sea salt. Cover the pan with a lid, bring the oats to a simmer, give them a stir, then reduce temp to low and cook 3-5 minutes, or until the oats reach your desired consistency/chewiness. 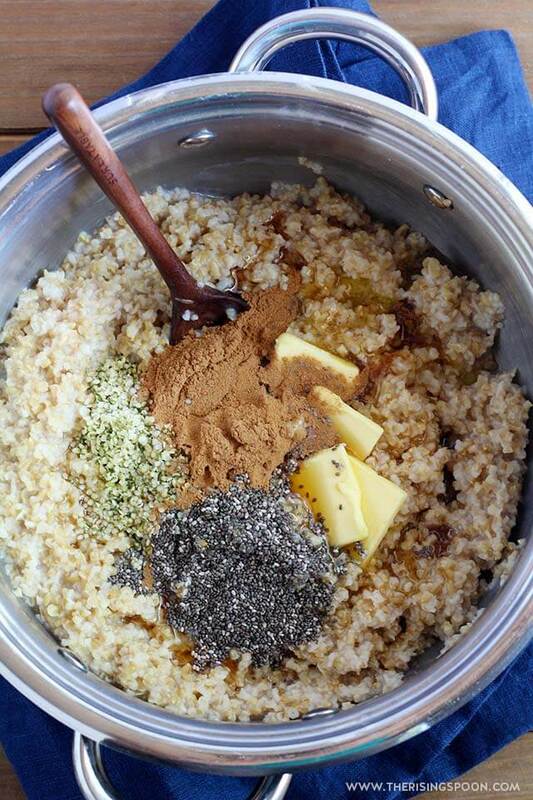 Stir the oats again, remove from heat, and add the butter or coconut oil, real maple syrup, chia seeds or hemp seeds (optional), and cinnamon powder, then stir once more to combine. Serve immediately while hot with your favorite toppings. 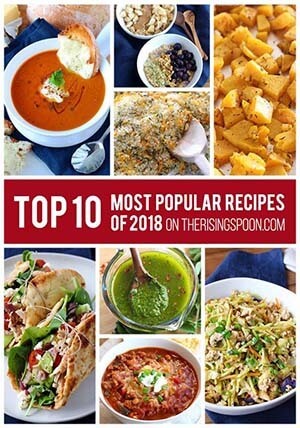 For Meal Prep: Let the oatmeal cool completely, then spoon 1/2 cup or 3/4 cup portions (depending on your appetite) into individual containers (like glass mason jars), add your favorite toppings (see ingredients list for 3 different ideas), cover with a lid and store in the fridge for up to a week. Serve the leftovers cold straight from the fridge OR hot by gently reheating on the stove. Steel cut oats thicken up in the fridge, but shouldn't get gloopy like rolled or quick oats. Because of this, I highly recommend adding a bit of water or milk to loosen up the oats and make them more porridge-like, whether reheating them or eating them straight from the fridge. To speed up the cooking time the next morning, heat up the water first before you rinse the oats so you can cut down on the time it takes to bring it up to a simmer. 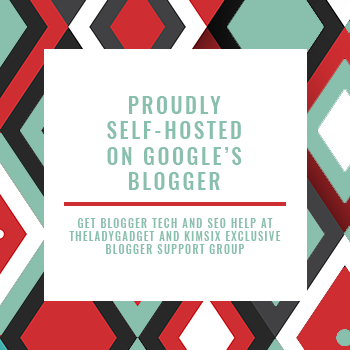 If you have an electric kettle or regular kettle, that might be the easiest & fastest way when you're in a hurry.